Why are people doing this? What is the point? Really, I want to understand. 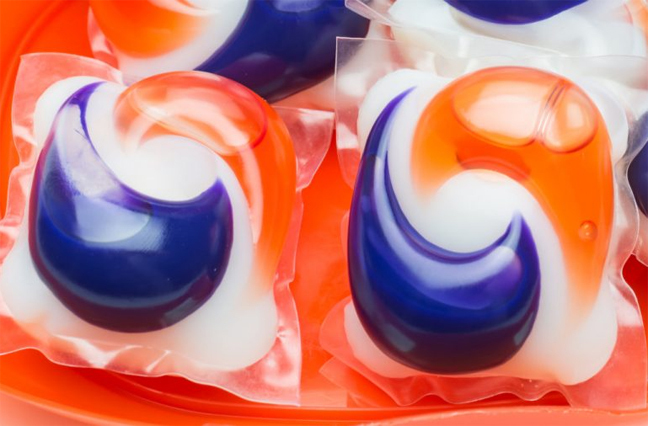 I hear about organizations trying to warn teenagers not to eat Tide Pods. Procter & Gamble is having to address this as if it were a drug. From NPR'r report: "The company's efforts include outreach to college campuses for "honest conversations" with students...". It is reminiscent of adults warning teens (when I was a teenager) not to try marijuana. They had "honest conversations" with us about the dangers of drugs. Of course the kids didn't listen; they wanted to get high. Take away the drugs and they'd fill a paper bag with spray paint and huff that. Take the paint away and they'd put a glue stick up their nose. But, why concentrated laundry detergent?! I mean, I've not once heard that it gets you high or that it feels remotely pleasant. Is there a thrill that I'm not understanding? Bungee jumping used to be a fad. That's dangerous, but people tell me about the headrush as you're free-falling. I never participated, but I get it. I can get on board with that kind of excitement and fun. I'd probably do it now, given the chance. But, the thought of swallowing a concentrated form liquid detergent is something I can't even fathom. How can you produce enough saliva to get it to go down? Doesn't foam come out of your mouth? Wouldn't the saliva cause it to foam more, rather than help it go down your throat? Do you swallow the plastic wrapper as well? When I was a kid, we used to get our mouth washed out with soap for saying bad words. Now these Little Einsteins are consuming a concentrated form on purpose. And recording it. And disseminating that recording for all the world to see how stupid they are. People are dying from this; these kids are poisoning themselves. AND THEY'RE NOT EVEN GETTING HIGH! Somebody needs to give those kids a joint.